KATHMANDU, Feb 10: Nearly two weeks after co-chairman of ruling Nepal Communist Party, Pushpa Kamal Dahal, issued a strong-worded statement against the United States stance on the ongoing Venezuelan political crisis, US Ambassador to Nepal Randy Berry held a meeting with Dahal recently. The US envoy reached Khumaltar-based Dahal's residence to meet him on Saturday morning. 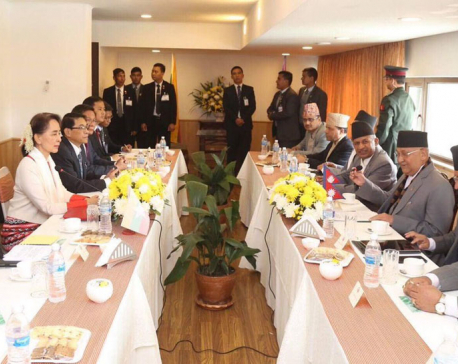 The meeting lasted for around around one hour, sources told Republica Online. During the meeting, Dahal reiterated his stance on the Venezuelan political crisis. However, he conveyed the ambassador that "his intention was not and will never be to invite any tensions in Nepal's diplomatic ties with the United States", the source said. 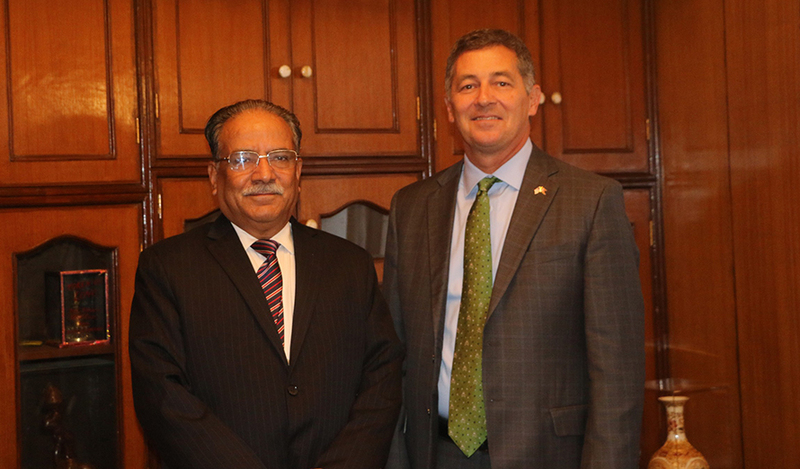 NCP leader Devendra Poudel also confirmed that the US ambassador held the meeting with Chairman Dahal yesterday. However, Dahal's private secretariat has not released any official information regarding the meeting. 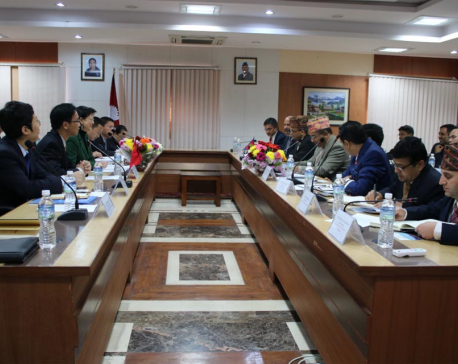 Sources indicated that the meeting took place at Dahal's request. The meeting comes at a time when the United States and Nepal are facing diplomatic tensions on the issue related to ongoing Venezuelan political crisis that began following Dahal issued the statement on the same. Reacting to the political development in the oil-rich country, Dahal described the act of “US and its allies” an “unacceptable intrusion in internal affairs and an attempt of imperialist coup”. In addition to that, Dahal's statement on the Venezuelan crisis has also soured his relationship with Prime Minister KP Sharma Oli. The chairman duos have been holding a series of meetings to resolve their differences. Oli, who also leads the government, invited Dahal to Baluwatar on Friday, to discuss how to address the differences in their conflicting views on the Venezuelan crisis. Instead of echoing Dahal, Oli in a recent television talk show, termed Dahal's use of language as “a slip of the toungue” in the statement. Oli was in Davos to attend the annual meeting of the World Economic Forum.